One of the most sought after features of mobile users in today's world is the ability to watch Youtube away from the computer. In the past, us E71 owners and all Symbian users have relied heavily on 3rd party applications like Mobitubia, Emtube, and java applications. They often did the job very good, but there is hardly any support of these applications since they've been out for so long. 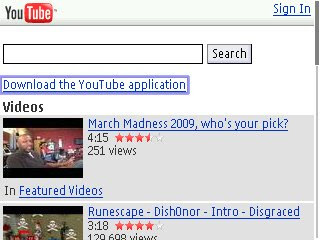 Mobitubia is still usable, but I believe Emtube has been discontinued. An E71 reader by Colin (thanks dude!) 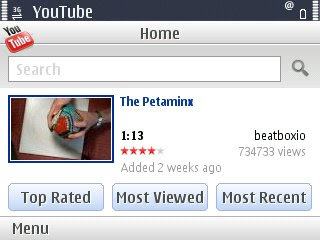 sent me an email last night letting me know about Youtube's brand spanking new Symbian S60 3rd edition Youtube .sis application. Shocking, I didn't even see an announcement on the Google Mobile blog. It's great to see huge companies like Google and Youtube supporting Nokia E71 and S60 users. 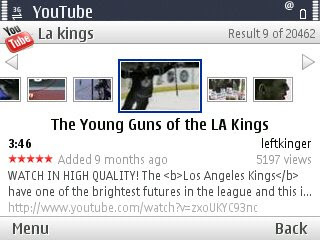 I've been playing with the new E71 Youtube application for about a half an hour now and all I can say is it's slick, fast, and easy to use. I'm getting almost no buffer time with my AT&T 3g data connection. I haven't tried it yet over edge or WLAN, but you do have the option change access points. Only negative I've seen so far is that you cannot download the file after you've watched it. This application uses data entirely, so be sure you have a good data plan or use WLAN. Download: http://youtube.com from your E71 browser. Reminder: If you own another S60 3rd Edition device, this Youtube application also works for the Nokia E66, N82, N95, N96, N85, N78 - pretty much the entire S60 lineup.